In November 2014, I and Heykyung(my wife and co-founder) opened the coworking space in Seoul, the capital of South Korea and operated for three years. And we met over 300 foreigners at Hive Arena where I run. We were talking about advantages of Seoul to live and work for digital nomads, remote workers. For them who are curious about Seoul, I share some information. 1. Top internet speed in the world. I think Internet Speed is essential for digital nomads who are working remotely or creating their own business, especially IT startup or small business. Average internet speed in South Korea is the highest in the world. You can check some details at the link below. If you visit at Seoul, you can’t complain Wi-fi speed. And many Korean people use Unlimited data plan(over 4G). Most of the coffee shops support Free Wi-fi service. And you can experience a similar environment at other cities in this country. 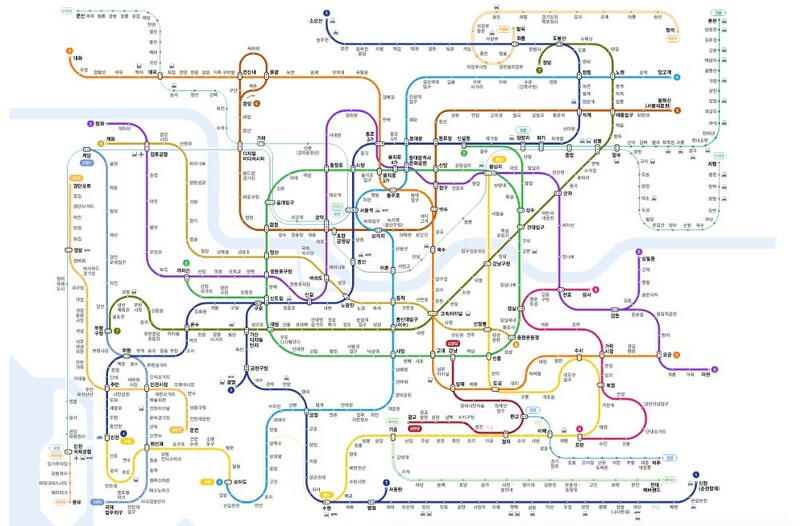 Seoul’s Subway is good and clear. I think it is better than New York and Singapore. You can go anywhere through subway if you want to go. Also, It is pretty cheap. Public transport fee is about 1,250 won(maybe $1). If you transfer between subway and buses in 30 mins, it is free. And you can move four times(in 30mins) a day for free. You can transfer over them paying for some extra cost under $1. And you can buy public transport card(‘T-money card’) to the convenience store and all subway stations. I recommend this service, CityMapper. I think Korean food is the best. Many people like Japanese Sushi or Southeast Asian foods. But Korean food is as good as theirs. Especially, Chicken and Beer(We called ‘Chimak’) and Korean BBQ are the best in the world. If you have some friends visited Korea, please ask them about Korean BBQ. And there are many more delicious foods like bibimbap, Korean rice wine, and Korean street foods. Many young Korean people can speak English well. When you meet young people at some restaurants, coffee shops, and other spots, you can order some foods if you want. But sometimes they are shy. Because we have fewer chances to meet foreigners. Many older people can’t speak English well. But they are so kind when you speak Korean a little bit. And I recommend you to learn Korean. Many Korean people will welcome you. I recommend these services to learn Korean. Korea is only a divided country(the South and the North of Korea). But, when you visit Korea, you know that no one cares about it. And I think South Korea is one of the safest countries. I met some friends from London and Stockholm, St.Peterburg. Terrorism occurred in those cities where they lived this year. But, there is no terrorism in Seoul for a long time. It is a peaceful country. First, possession of guns is illegal in Korea. Second, there is no religious conflict and no racial discrimination conflict. Some people don’t like foreigners. Because they have a pride of the homogeneous nation. But many people are preparing to accept diversity. I share one tip. When you leave your laptop, luggage and go to the bathroom in the cafe, tell the person to look at yours. They can help you. Updated: I recommend you see this video. Each neighborhood has a different atmosphere. Hongdae area has some hipster cafes and restaurants. There are some universities and colleges with young people. When you go to Itaewon area, you can feel it is similar to the United States. Its area is near US Army. If you want to see Korean traditional houses, I recommend Sechon and Buchon area. And the Gangnam area is famous for business district. It is also the most expensive than others. There are many mountains for climbing and a lot of parks for hiking and walking. I think if you want to find a lot of fun in seoul, you can find it with local people. 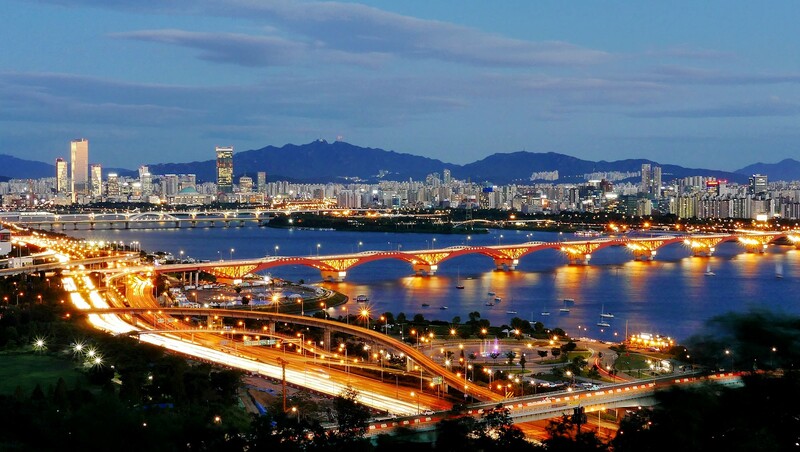 The South Korean government has a lot of policies and supports for startup. So it is becoming more and more healthy environment for creating startups. If you start your business, I recommend you to use K-Grand Startup Challenge program. And If you want to make some good local friends and talk about your interests, I suggest some tech communities in South Korea like Hive Arena, Pyjog, Seoul Tech Society, Elixir Seoul Meetup, Pyladies Seoul, etc.. They are representative Korean tech communities. They are also our community partners. I suggest you to read this article. She recommends new hubs for digital nomads including Seoul. She is working remotely around the world.